Maison de Village to rent in "the Frenchman's Own Holiday Paradise"
Once you’ve seen the striking and characterful Sister Ambrosiac (that’s right!) 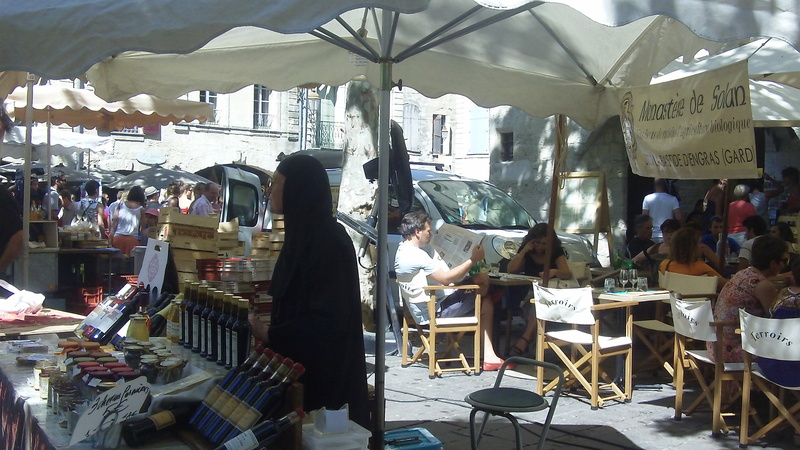 at the Uzès market at Place aux Herbes, you don’t forget her selling her wines, honey and incense from the nearby Monastère de Solan. A Greek Orthodox order, the sisters at the monastery grow organic grapes under the guidance of Mother Hypandia. Read more about the monastery here.